Serving as a DECA officer is both a rewarding and humbling experience. As an officer, there are so many opportunities for you to grow as a leader, network with business professionals, and make an impact within your chapter. While we are in the midst of DECA competition season, we also have to think about the future of our chapters. Many chapters will be electing new officers in the next few months. If you are currently an officer who is turning over your position, the best thing you can do to better your chapter is to pass on your knowledge to the your successor. Keeping a binder or journal throughout your term will serve two purposes. First, it will keep you organized; there will always be a home for important documents, forms, and memos. Second, it will become a cumulation of resources for the next officer. The next officer will be able to refer to your binder throughout the year as a guide. If you want to add a personal touch to the binder, write a nice letter to the future officer to include. I wrote a letter to the incoming Recording Secretary when I was a chapter officer, and it set a nice tone for the beginning of his term. Everyone needs help along the way with their officer position. It is important to be available to the next officer in case he or she has questions during his or her term. If your chapter turns over leadership positions prior to the end of the year, dedicate time to mentor your successor. They will greatly appreciate the time you take to help refine their skills. Passing the torch to the next officer may an emotional time (let’s face it… we all love our officer positions! ), but taking the appropriate steps to prepare the next officer will make the transition smooth and exciting for the next year. Florida DECA’s Annual Business Plan has many ways to get involved in the community in the “I AM Community Oriented” section. In the “I AM Community Oriented” portion of the Annual Business Plan, there are seven different categories in which your chapter can design and execute community service activities. - Helping Hands- Participate in either (or both) of Florida DECA’s charity projects by collecting a minimum of 50 items requested by our chartered association. - Dollars for Scholars- Donate a minimum of $1 per student member of your chapter to the Dollars for Scholars program. The Dollars for Scholars program gives scholarships to Florida DECA members at the Florida CDC this March. - Pick a Partner- Partner with another club at your school to benefit the other club or both clubs. The idea is to donate your time to help another school organization! Not only will your chapter feel the satisfaction of helping others, but your chapter can complete activities on the Annual Business Plan. Completing 2 (bronze), 3 (silver), or 4 (gold) activities of each section of the Annual Business Plan will earn your chapter awards and recognition at the Florida CDC this March. Check out the Annual Business Plan on www.fldeca.org to see the many ways your chapter can be involved in your community! This summer, DECA Executive President Zack Schaja had the opportunity to visit Disney World to meet with executives and learn about one of DECA's newest partnerships. While meeting with executives, Zack noticed some trends that can be applied to careers. However, I believe that these same trends can be applied to our DECA chapters as well. Zack says that as soon as you step foot on to Disney property, you can feel the positive atmosphere. The positive attitude is conducive of happy employees and happy guests. In our DECA chapters, instilling positivity will make members more inclined to participate in events, meetings, and activities. Having a positive attitude while working in an officer team will also make the role of a chapter officer even more enjoyable. Zack also makes the point that Disney visitors dedicate their time and money towards a family vacation, and the Disney employees make it their top priority to result in satisfied customers. In a DECA chapter, catering to members’ wants and needs will ensure the goal of chapter involvement. When planning events or activities for the chapter, offer voting polls to all members rather than have a few officers make decisions. That way, there will be a better representation of the chapter’s likings. Zack concluded with the idea that mentorship will serve as a support system and way to achieve professional goals. In a DECA chapter, mentoring younger members in competition preparation, chapter management, and membership recruitment will help carry on the traditions and practices for years to come. Pairing students as mentors will also allow members to network and meet new friends. Disney’s vision of management makes for an incredibly successful company. Take these tips and apply them to your chapter to see how you can have a successful year in DECA! Check out Zack’s Article at http://www.decadirect.org/June-2014/3-Magical-Career-Lessons-from-a-Mouse/ . Follow Zack on Twitter @decazack . Our DECA year has flown by… It is hard to believe that we are already into November. before we know it, State and International competition will be here! If you were one of nearly four hundred Florida DECA members who attended our Emerging Leaders Summit, you learned lots of different leadership skills to take back to your chapter. 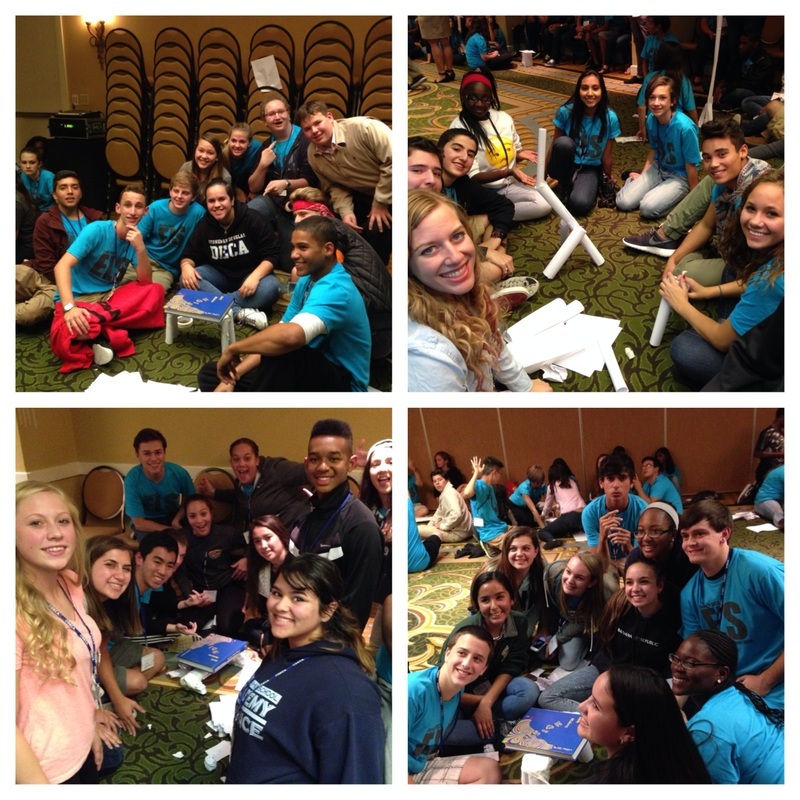 The purpose of Florida DECA’s Emerging Leaders Summit (ELS) was two-fold. First, we trained you on how to become effective leaders. Second, we gave you the tools to implement within your chapter. Now is the perfect time to take action in your chapter. As DECA members, you should be newly reenergized from a fun-filled conference and be inspired to truly make a difference. 1. Write down your most memorable activities and workshops from the conference. 2. Host a meeting with your chapter’s officer team to discuss ways to implement your favorite ELS moments into chapter activities and events. 3. Take action and make a difference! The fun does not stop with conferences. Use the Best Practices and workshops from ELS to develop activities for your chapter throughout the year. Be sure to tag @floridadeca and #FLDECA in your posts on Instagram and Twitter. DECA's annual theme for this year is “I AM DECA”. This theme embraces the individuality and uniqueness of our members. Not only does “I AM DECA” emphasize distinctiveness, it also encourages members to debut their journeys throughout the year on social media mediums. This theme is perfectly aligned with marketing trends, the popularity of social media, and the eagerness of high school students. People love taking pictures to capture memories, and now is the best time to share these memories! DECA, Inc. is doing an incredible job of highlighting the organization's members through this campaign. Between this year's membership video, DECA guide, monthly DECA direct articles, or social media posts, the pictures that members share are EVERYWHERE. Make sure to represent yourself, your chapter, and your chartered association by sending photos. 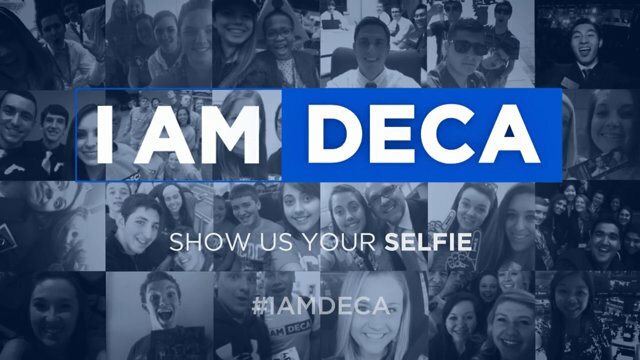 We want to see how you've been spending your year proclaiming "I AM DECA"! Are you a manager or a leader? As officers, we strive to do our best for our DECA chapters, but do we ever stop and assess the way we run our chapters? Managers get the job done. They coordinate. They delegate. They solve problems. When there is an obstacle, a manager will overcome it. When there is a task to be done, the manager will see to its completion. While managers may seem like the ideal type of officer to be, they actually lack the enthusiasm and passion that is instilled in leaders. Leadership is about influence, not authority; having a title does not make someone a leader. Leaders motivate and inspire people to take risks. They influence members in a positive manner to become involved in activities, projects, and events. They are committed to their job and are always looking to improve. 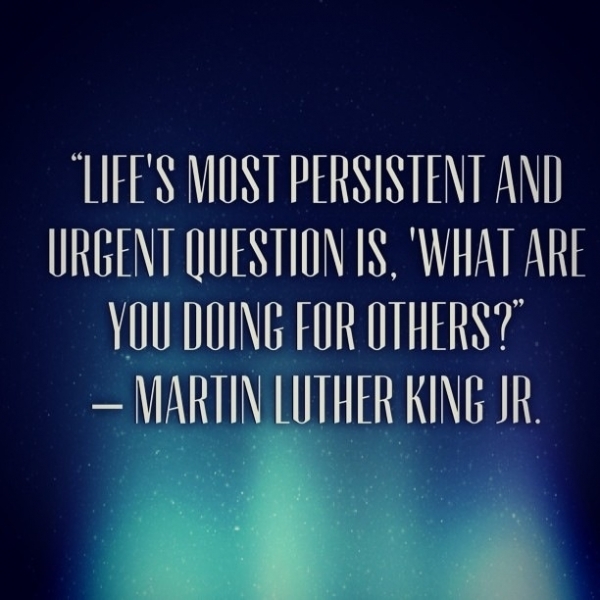 Leaders look to help others for the greater good of the group. They are constantly innovating and reflecting on the past to improve the future. My favorite quality of true leaders is their ability to spark the leadership in other people. Leaders are the kind of officers needed to grow morale and spirit in chapters. At Florida DECA, we always talk about “leaving this organization better than we found it.” No matter what we do, we look towards elevating our organization. As leaders, we need to find ways to leave our chapters better than we found them for future generations of DECA members and leaders. Make your mark. Inspire others. Have the confidence to take action. We all dream of being the best officers possible. Take the leap from “manager” to “leader” and see how much you can accomplish this year! With just a few days left of summer, it is time to get back into DECA season! One of the four pillars of DECA is being community oriented. DECA takes pride in its contributions to the community, whether it be International DECA’s partnership with MDA (Muscular Dystrophy Association) or Florida DECA’s Helping Hands Drives. In addition to these large-scale community service campaigns, it is also important to have chapter-level community service. A great way to take a fun approach to community involvement is by hosting chapter events that benefit an organization. The events should have a central theme or activity that will draw members to attend. Members can pay an entrance fee to the event, or there can be donation buckets. The idea behind these events is that they will raise money for an organization in need. If you really want to engage the community, open your chapter’s event to your whole school or city. By doing so, you can advertise your chapter to people who are not in DECA, as well as increase fundraising towards the organization. Share- At the beginning of any project, hold a brainstorming session. I fully believe that the best ideas are not exclusive to one person’s though, but rather the collaboration of a group. Spirit- The attitude of those leading a project will be mirrored in those who participate. A positive attitude, enthusiasm, and high energy are all key to a successful project. Strategy- Devising a plan from the start of a project will keep all components organized. Use materials such as timelines and project management logs to detail every step of the project. Success- Having good spirit and an effective strategy can lead to success. Success is always the optimal outcome, but even “failed” projects can have some triumphant components to them. Survey- At the end of any project, it is important to reflect upon its highs and lows. Having a debriefing session at the end of a project can help the team improve for the future. By keeping these words in mind, the Five S’s will optimize any project or activity in DECA. Each of the four vice presidents are in charge of a different region of the United States and Canada. 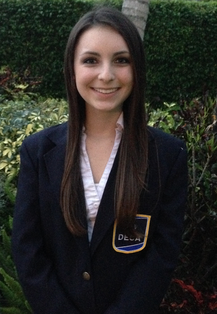 Because Florida DECA is in the Southern Region, Amar Hodzic is our designated Vice President! In Amar’s DECA Direct article, he encourages DECA members to proclaim “I am DECA” at the regional conferences held in the fall. Conferences are my one of my favorite parts about being a DECA member. Not only do I get to spend time with my DECA friends, but I also get the opportunity to network and meet new people from Florida and all around the United States and the world. At ICDC, I met amazing people from other states and regions who I still keep in touch with. I completely agree with Amar when he said that “DECA’s regional conferences provide a foundation for enhancing your DECA experience, making connections, and bonding with fellow DECA members.” If any (or all) of these points sound interesting to you, make sure to talk to your chapter about attending The Ultimate DECA Power Trip this fall! The Ultimate DECA Power Trip is Southern Region and North Atlantic Region’s regional conference, located in Washington D.C. From November 21-23, Southern Region and North Atlantic Region DECA members have the opportunity to attend workshops and informational sessions that will kick-start their exciting year in DECA. If you are ready to proclaim, “I am DECA,” I highly suggest you look into attending The Ultimate DECA Power Trip.